HipHoponomics is the marriage of Economics and Hip-hop. It is designed to provide an creative & dynamic front door for intellectual engagement in economics for students. From a personal passion growing up, to a grad school project, to the development of a new movement in economics education receving regional and national attention, here is the story of HipHoponomics. Musically inclined throughout life (I played the cello *badly* for 10 yrs, and now am a fingerstyle guitarist and play banjo), I have been writing and performing Hip-hop music since my junior high school days in Abington, PA. Growing up in a very ethnically diverse place, Hip-hop always came naturally to my friends and I, whether it was writing and performing our own stuff or simply enjoying the latest release from Eminem, Mos Def, Nas, and Talib Kweli (My Hip-hop “wheelhouse” is from 1995–2005 or so). As a 12th grader at Abington Senior High School, I was fortuante to have a very influential US History teacher, Mrs. Shillingsburg, who was extremely passionate about her work and was always looking to provide her students creative outlets to showcase their learning and comprehension. It was in this context that I first had the opportunity and the initial inspiration to combine my passion for music with academic content. Mrs. Shillingsburg would assign us to write raps (or songs or poems) about various topics, including the Gilded Age, the New Deal, and more. 10 years after the fact, I can still remember word-for-word the raps I wrote along with friends to perform in Mrs. Shillingsburg’s class. As a student, I was simply having fun in the classroom expressing my passions in a creative, educaitonal manner. As I look back on that experience now as a professional, I have come to more fully appreciate the dynamic, creative, and memorable learning experience that Mrs. Shillingsburg provided for us. For that, I am forever grateful, as it was the time in her classroom that inspired me to teach in the first place. 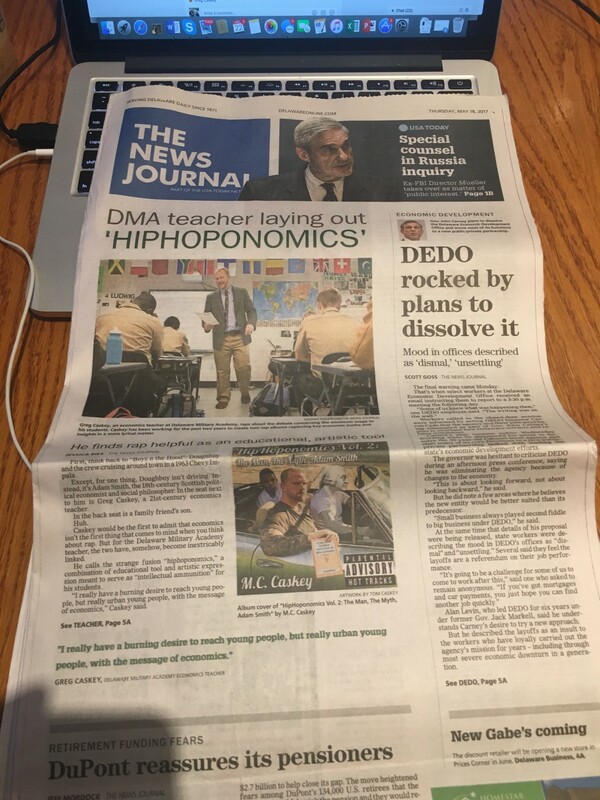 ‘Hiphoponomics’: Delaware Military Academy teacher uses rap to teach economics. Fast forward a few years. I have developed the HipHoponomics methodology over the last few years while teaching economics at the Delaware Military Academy. Now six years into my teaching career, I have been rapping in the classroom ever since my student teaching days in an urban setting. This method has always provided significant dividends for me as an instructor in terms of student engagement, passion, learning, and creativity. It wasn’t until I entered the masters program in Economics & Entrepreneurship at the University of Delaware two years ago that I decided to get more serious with my Hip-hop efforts in terms of recording albums and developing lesson activities for other teachers to use based off of my music. Each member of my grad cohort was tasked with developing a project over two years that furthered the field of economics education in some way. I knew immediately what I wanted to do. My initial album, “HipHoponomics Vol. 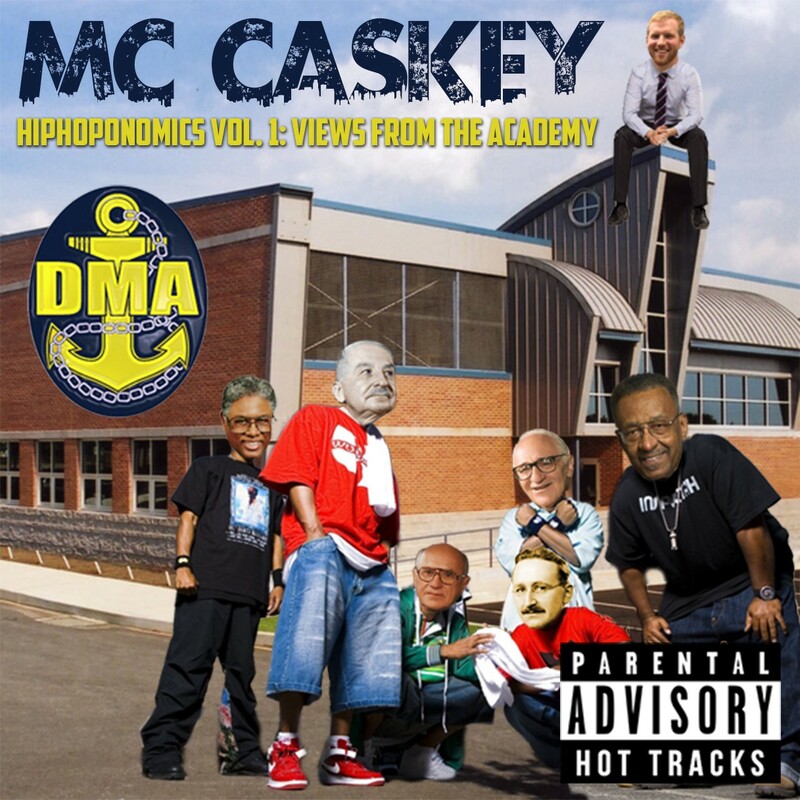 1: Views from the Academy” was released in June 2016, and my followup album “HipHoponomics Vol. 2: The Man, The Myth, Adam Smith” was released in May 2017. From the creative process of conceptualization and writing to the engineering process of mixing and recording, the Lord only knows how many hours I have spent developing this project. 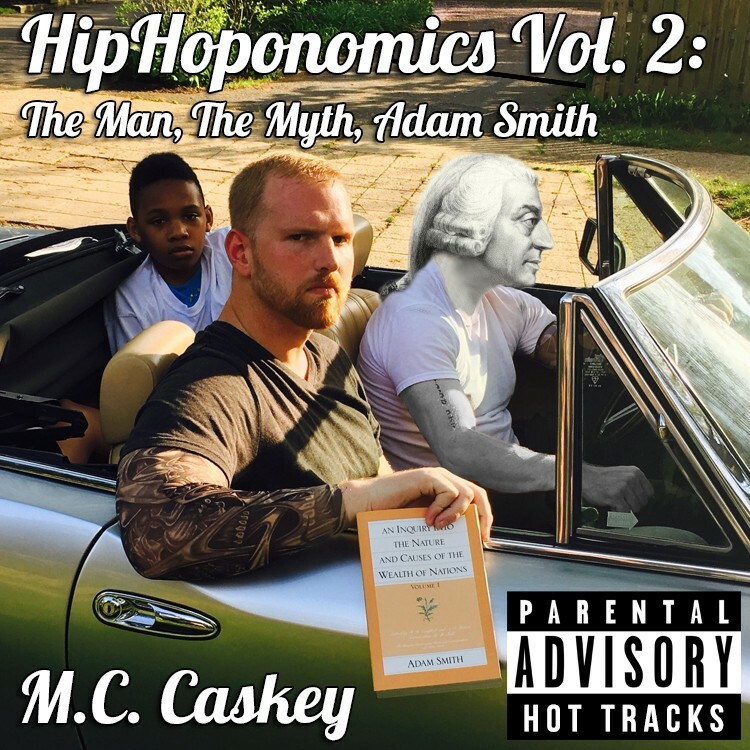 While my first album received some fanfare on Twitter with retweets from well-known economists, it was the most recent album that put HipHoponomics on the map. From being featured on the front page of the Delaware News Journal and on NBC10 Philly during primetime news, to being the subject of a nationally syndicated column by one of my favorite economists, Dr. Walter E. Williams, it has been a joy for me to see my efforts get some local, regional, and national press attention. I want to inspire zeal for the discipline of economics among young people, with particularly emphasis among urban young people, a historically underserved population especially in the educational sense. I want to inspire young people to take their human capital development seriously, as that is ultimately what will open up doors for them in the future to achieve goals. To reach these goals, I intend to continue producing thematically-based HipHoponomics albums twice a year. These albums will be available for teachers to use along with “Lyrical Lessons” to go along with each track including primary source readings and follow-up activities. The thought of teachers being able to recreate the experiences I have been able to have in my classroom through HipHoponomics fills me with excitement and joy. Alongside my albums, I intend to continue holding HipHoponomics competitions, in which students have the opportunity to create, mix, and record their own HipHoponomics track based off of a topic set by me. I ran my first Delaware HipHoponomics competition this spring, with the topic being “Free Trade vs. Protectionism”, which is a PERFECT topic for rap battle. Student entires were amazing, and prize money was sponsored by University of Delaware’s Center for Economic Education & Entrepreneurship. I intend to run another Delaware competition in Fall 2017 before expanding to Philadelphia in Spring 2018. It has been a very exciting journey thus far, and I have unending passion to continue developing this. I am presently in Los Angeles for the next week to develop HipHoponomics further, so stay tuned!